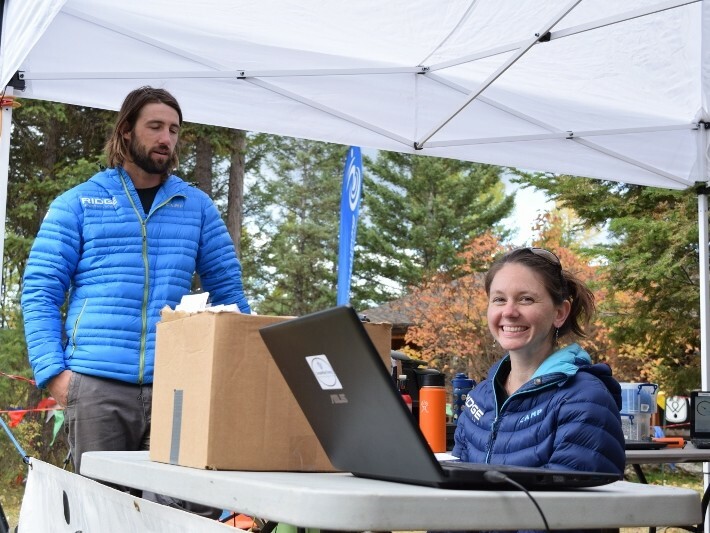 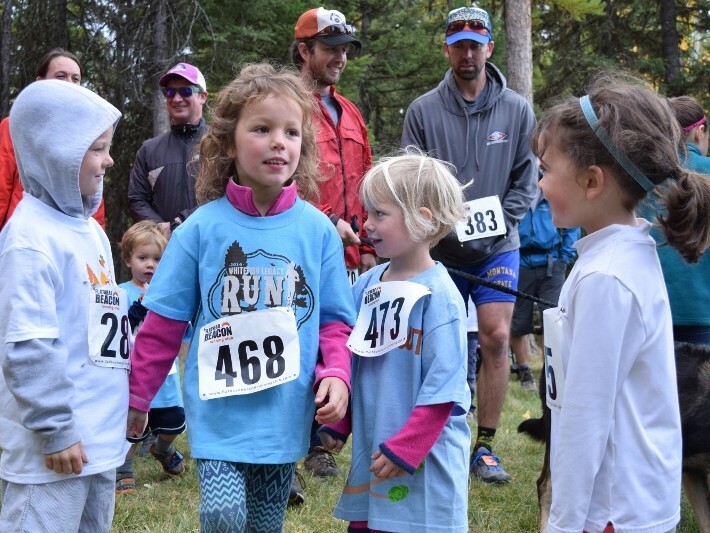 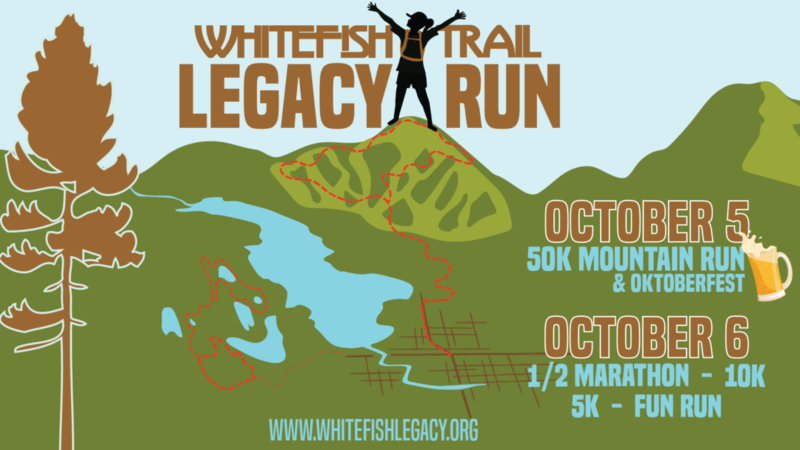 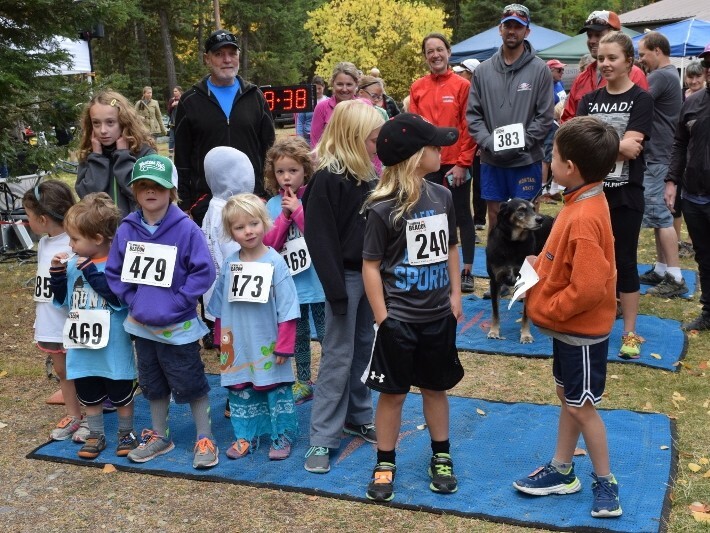 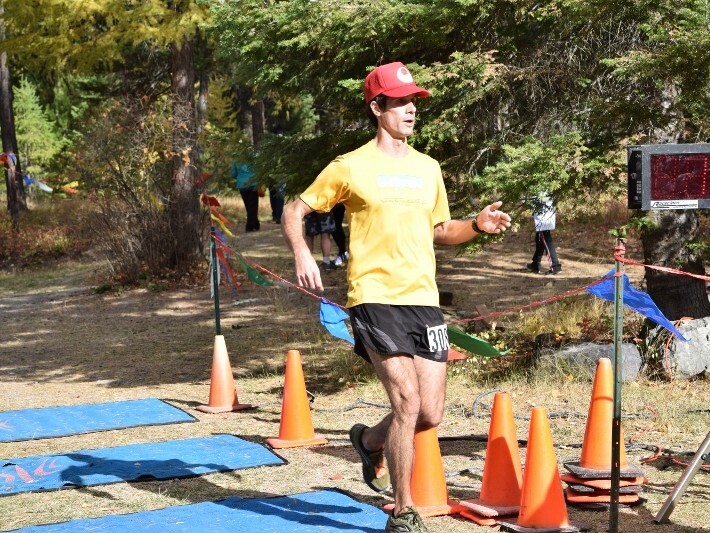 Brought to you by Title Sponsor Whitefish Therapy and Sport Center, the Whitefish Trail Legacy Run will host a weekend of trail running events on October 5-6, 2019. 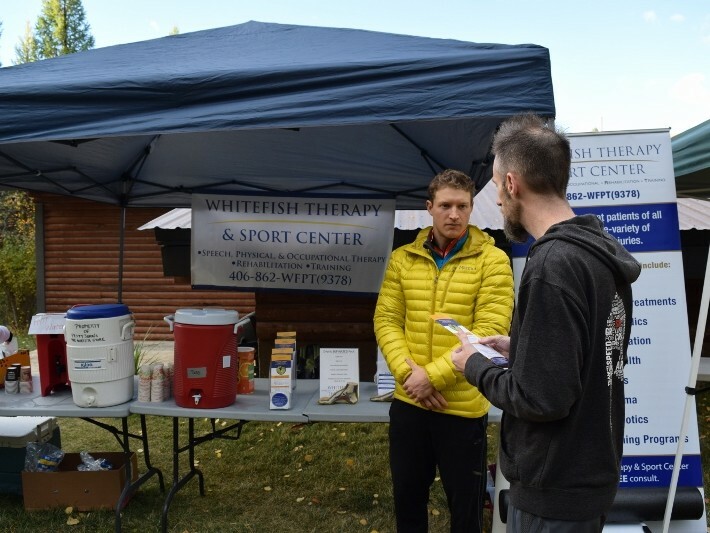 The 1/2 marathon, 10k+, 5k+, and family fun run, presented by Whitefish Therapy and Sport Center, will be held on Sunday October 6th at the Whitefish Bike Retreat. 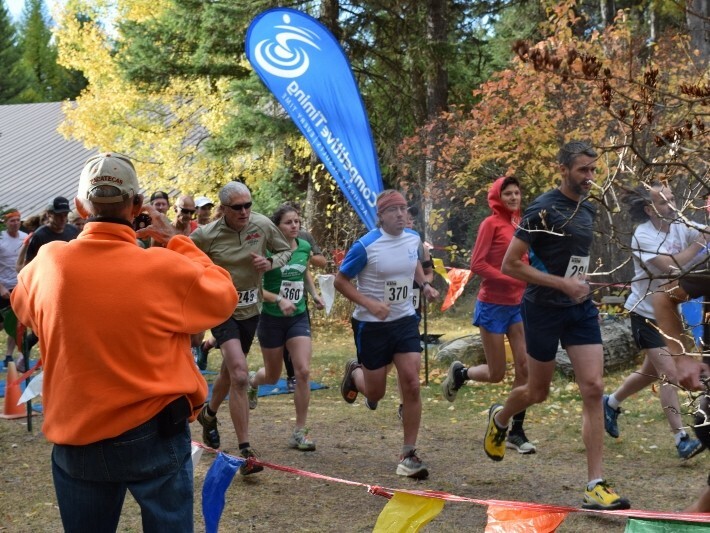 A new 50k Mountain Ultra, will take place on Saturday October 5th. 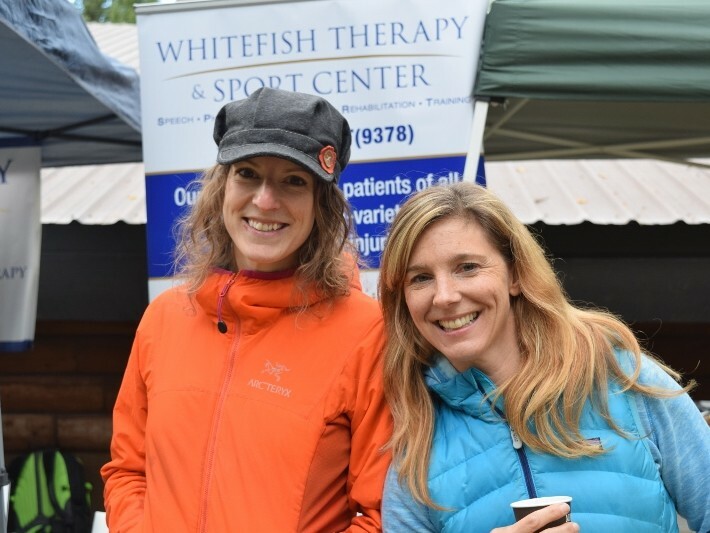 Events are also made possible by event sponsors, Step Ahead Foot and Ankle Clinic, the Whitefish Bike Retreat, Hammer Nutrition, and the Great Northwest Oktoberfest. 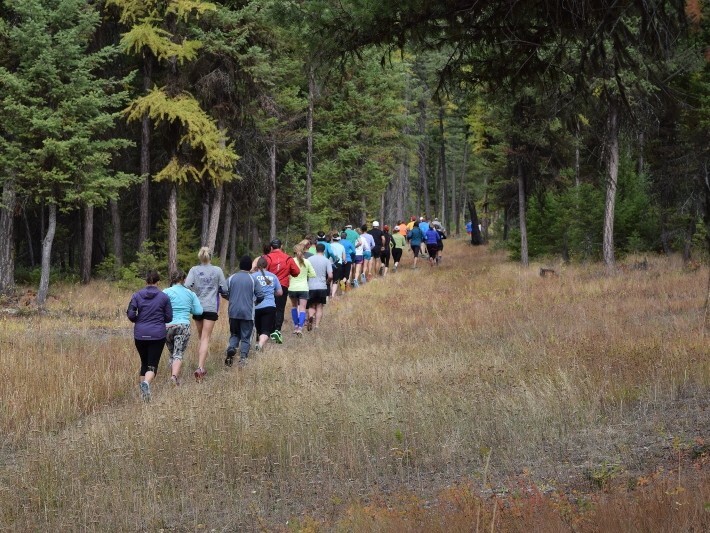 Mark your calendars for a fun trail run set in the beautiful Beaver Lakes area of the Whitefish Trail. 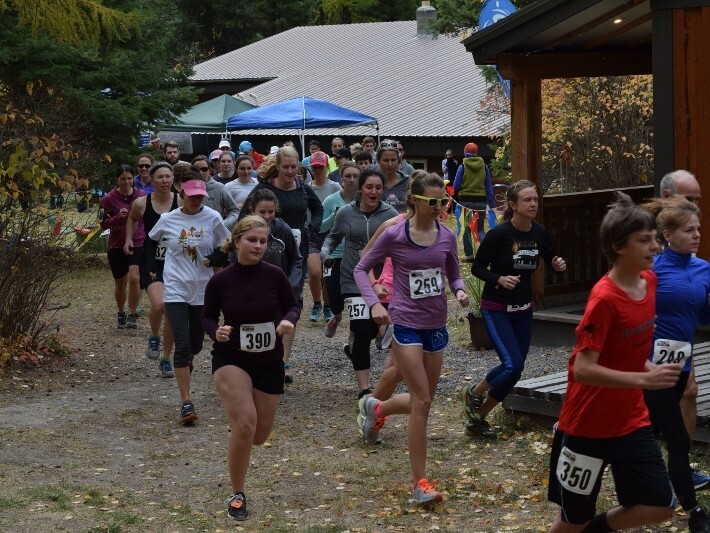 Try a fun 5k or test yourself in a challenging half marathon.The half marathon and 5k are 100% single track and the 10k has some sections of dirt road. 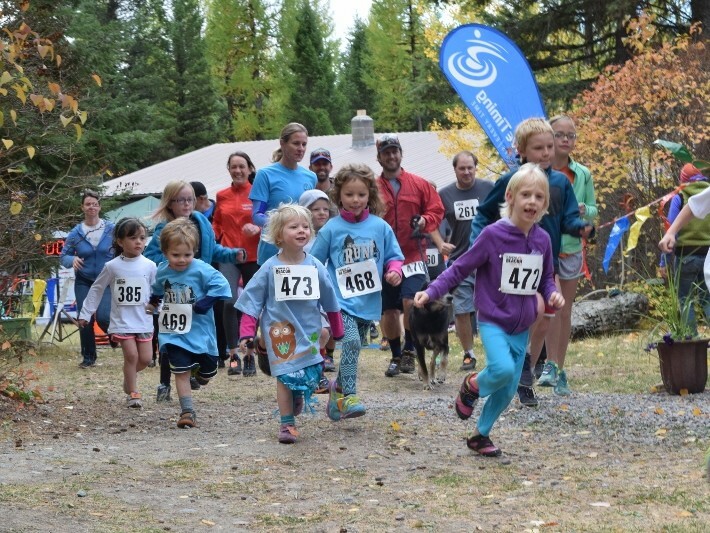 A 1.5 mile fun run is also available for families. 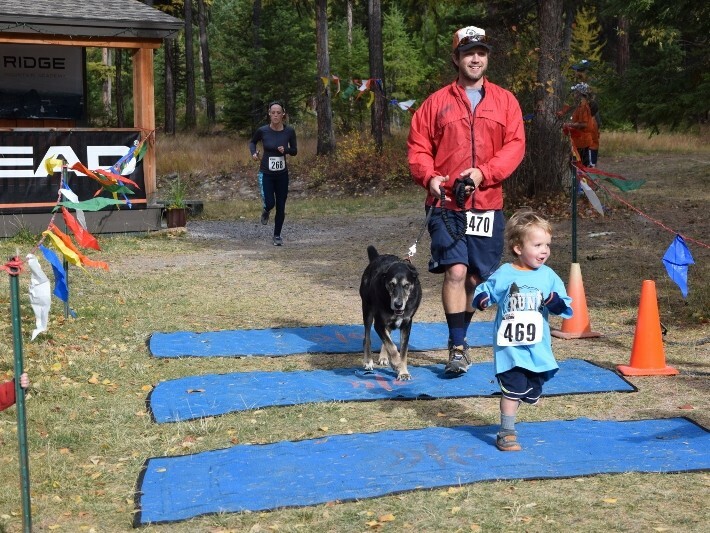 The race will start and end at the Whitefish Bike Retreat. 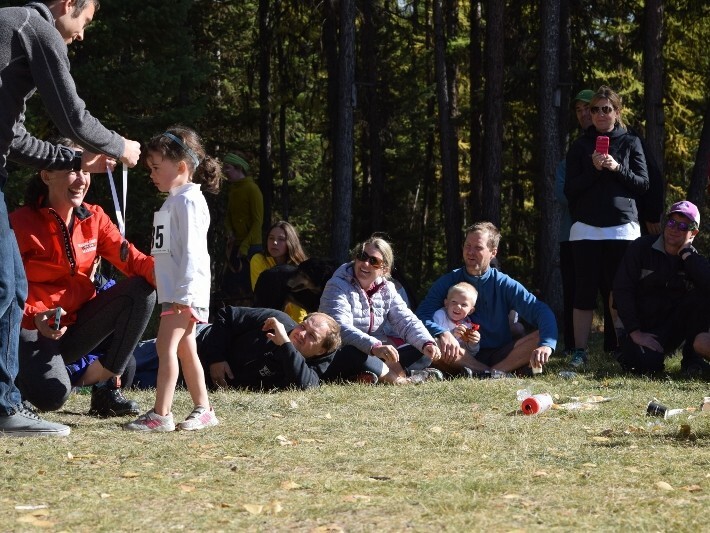 Join us for a fun community picnic and awards ceremony after the races! 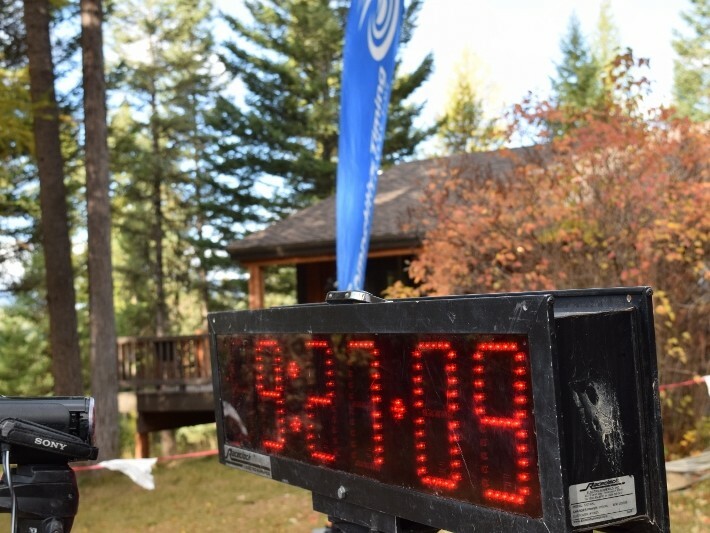 Half marathon elevation total elevation gain: ~2,250 feet. 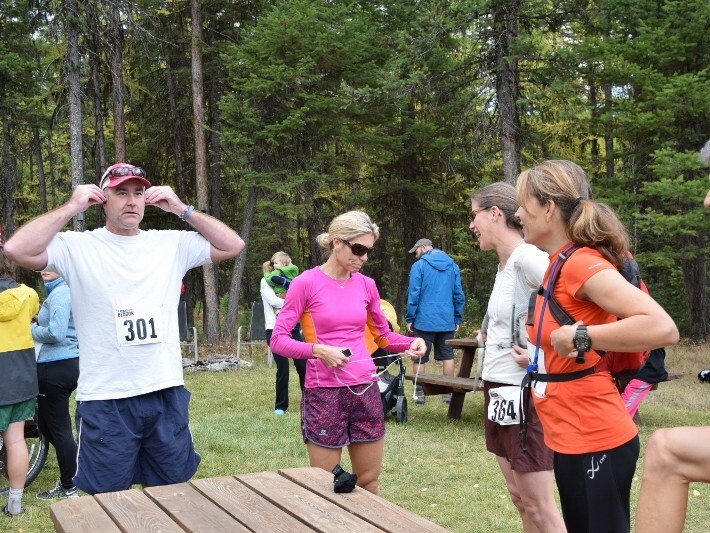 New this year the 50k will start in Depot Park in downtown Whitefish, connect to the Reservoir Trailhead, climb the Whitefish Trail in Haskill to Whitefish Mountain Resort (WMR) all the way to the summit of Big Mountain. 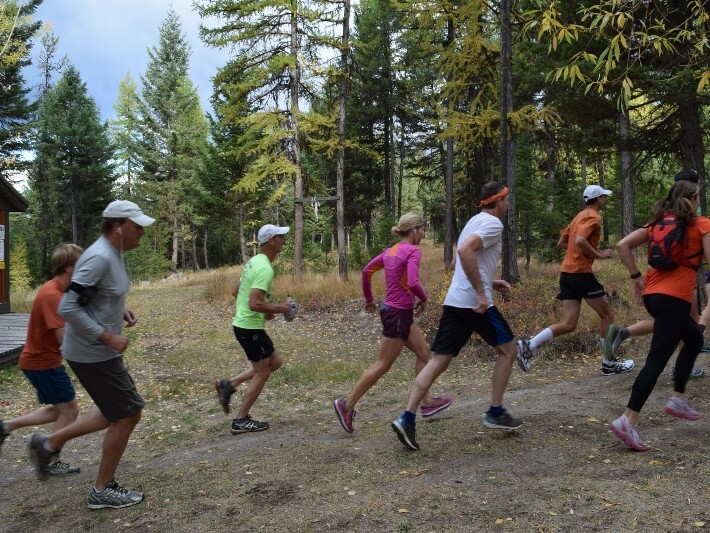 The course will utilize the Whitefish Trail in Haskill, WMR trails, and Flathead National Forest Trails. 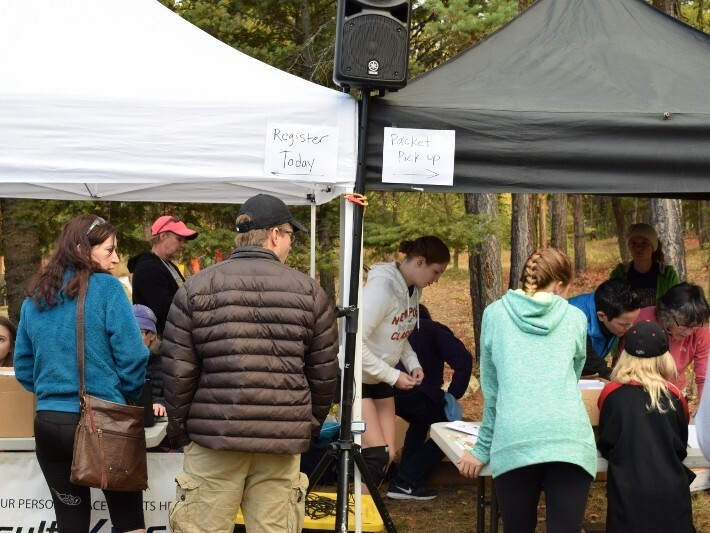 From the Summit aid station, the course will descend via the Flower Point Loop to the Danny On Memorial Trail, WMR XC Trails, and back down the Whitefish Trail all the way to Depot Park. 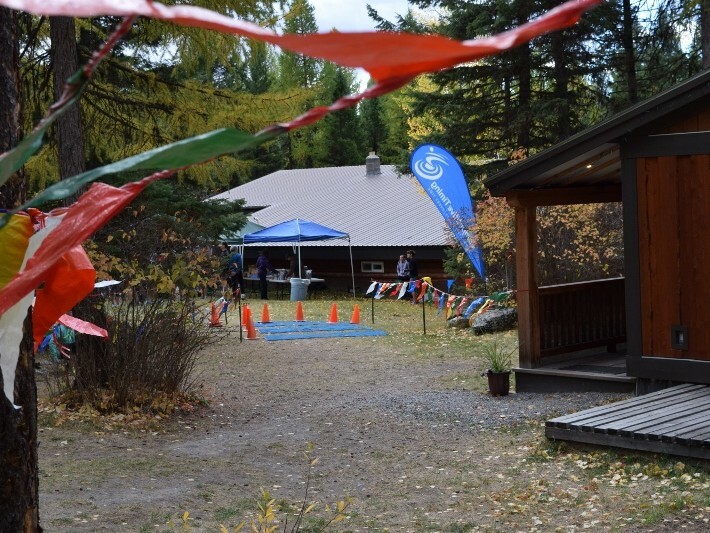 Runners will finish at the Biergarten at the Great Northwest Oktoberfest! 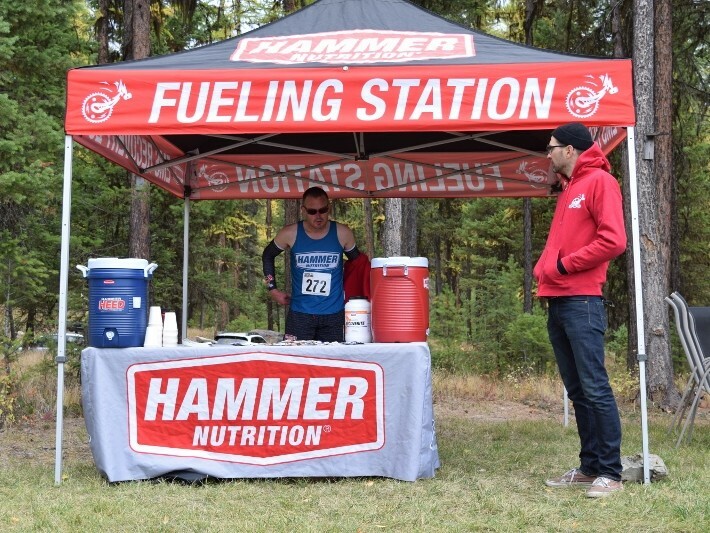 Runners will get free entry to Oktoberfest, free beer, free food, swag, prizes, and double-overhead high fives! 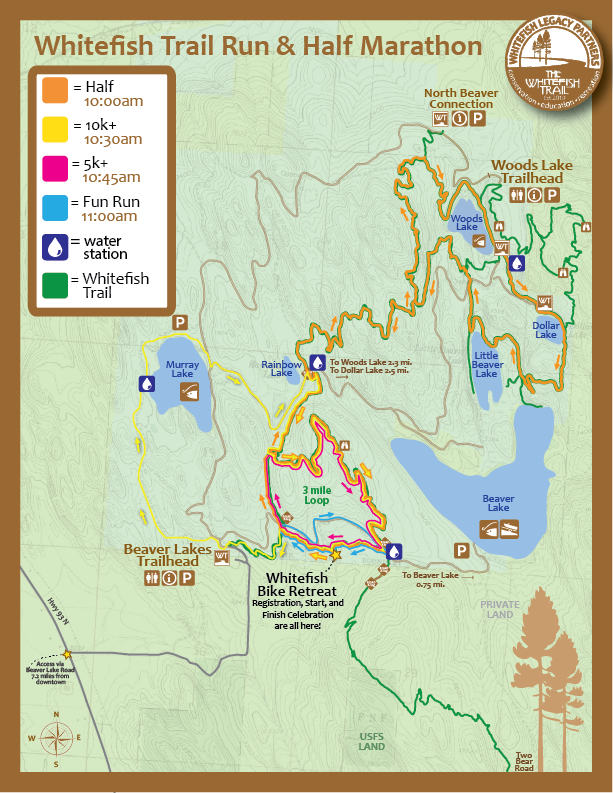 Distance: 50k, starting elevation: 3,050′, highest elevation: 6,817′, total elevation gain: ~6,000′. 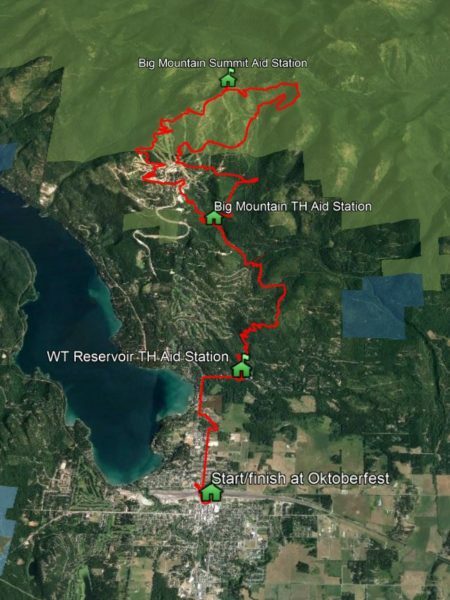 50k course will climb Big Mountain and return to town on the City bike/ped path, the Whitefish Trail, Whitefish Mountain Resort, and Flathead National Forest system trails. 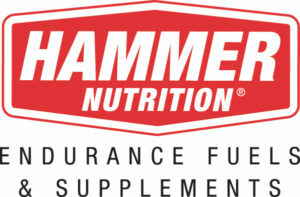 Finalized course will be announced summer 2019.